Draft: 2007, Milwaukee Brewers, 3rd rd. Milwaukee reaching adv.-A in 2016. In ninth Major League season and first with the Athletics, led American League catchers in games caught (125), innings caught (1,066.1), starts (119) and caught stealing (28)...Caught stealing mark was the second-highest of career (29 CS in 2016) and were the most by an A's backstop since 2001 (Ramon Hernandez, 33 CS)...Set the assists record for Oakland catchers (83), topping the previous mark set by Jim Essian (78) in 1978...The 83 assists were the most by an A's catcher since Frankie Hayes (89) in 1944...Breached the 100 hit mark for the seventh time in career...Is one of three catchers (min. 50% of games at catcher) to log at least 100 hits seven-or-more times since 2011: Yadier Molina (8 times) and Buster Posey (7). Combined to bat .292 (143-490) with 24 HR and 81 RBI in 142 games with the Brewers and Rangers…established career high for homers with 2nd-highest totals in RBI, OPS (.855), batting average, total bases (245), extra base hits (51), walks (47), and runs (67)…had the 2nd highest batting average among all ML players who appeared with more than one team to Carlos Beltran's .295 with NYY and TEX…overall, batted .310 (116-374) vs. RHP and .233 (27-116) vs. LHP…had a .345 (19- 55) mark with RISP and 2 out. Batted .264 with 7 HR and 43 RBI in 103 games…Made 92 starts (86g at C, 5g at 1B, 1g at DH)…The team had a 4.16 ERA when he caught (745ip, 344er) and went 40-46 when he started…Threw out 24 of 94 runners attempting to steal (25.5%)… Was on the 15-day disabled list from 4/21-5/28 with a fractured left great toe.....suffered the injury on 4/20 vs. Cincinnati from a Zack Cozart foul tip in the sixth inning (missed 38 games)…From 5/28-5/31 played in 4 rehab games at Class-A Brevard County…Batted .133 (6-for-45) with 0 HR and 1 RBI prior to going on the DL and .282 (92-for-326) with 7 HR and 42 RBI after being reinstated…From 8/21-9/3 produced a career-high 11-game hitting streak (19-for-43, .442, 3hr, 14rbi)…Batted .384 (28-for-73) with 3 HR and 17 RBI over his last 24 games…Missed 14 consecutive games from 9/9-9/23 due to a concussion suffered on 9/8 at Miami.....the concussion came after being struck in the facemask by a foul tip in the seventh inning.....his only start after 9/8 came on 9/26 at St. Louis at first base (appeared in 8g off the bench)…Was the Brewers' nominee for the Roberto Clemente Award…Was the recipient of the team's Good Guy Award for the third straight season as voted on by members of the Milwaukee Chapter of the Baseball Writers Association of America…Won the Bob Feller Act of Valor Award, which goes to a player who possesses the values, integrity and dedication to serving our country which Bob Feller himself displayed. Batted .280 with 18 HR and 82 RBI in 147 games...Made 134 starts (122g at C, 9g at 1B, 3g at DH)...Prior to the 2013 season had never appeared in a game at first base...The team had a 4.06 ERA when he caught (1074ip, 485er) and went 56-66 when he started...Threw out 21 of 101 runners attempting to steal (20.8%)...Batted .303 (120-for-396, 15hr, 65rbi) over his last 111 games, raising his overall batting average from .208 to .280...Led the team in RBI (82)...His 76 RBI as a catcher tied the Cardinals' Yadier Molina and Orioles' Matt Wieters for the Major League lead from that position...His 18 HR as a catcher tied for fourth in the Major Leagues from that position...Was voted Brewers Player of the Month for July (.333, 7hr, 15rbi)...Gave the Brewers a walk-off 5-4 win on Opening Day vs. Colorado with a 10th-inning sac fly...Gave the team a 4-3 win on 4/14 at St. Louis with a 10th-inning solo homer off Fernando Salas...Produced a career-high 5 hits on 5/31 at Philadelphia, going 5-for-5 with 3R, a double, 2 HR and 4 RBI in the 8-5 win...Made his first career start at first base on 7/31 at Chicago-NL...Belted his first career walk-off homer on 8/16 vs. Cincinnati with a 2-run shot in the ninth inning off Aroldis Chapman, giving the team a 7-6 win...Participated in the World Baseball Classic for Team USA (3g, 2-for-5, 2r, 1rbi, 1bb)...Was the Brewers' nominee for the Roberto Clemente Award...Was the recipient of the team's Good Guy Award, which is voted on by members of the Milwaukee Chapter of the Baseball Writers Association of America. On 3/27 signed a 5-year contract through the 2016 season with a club option for 2017...Batted .320 with 12 HR and 58 RBI in 96 games...Made 80 starts, all at catcher...Was named to his first career Opening Day roster...Batted second (4g), fourth (3g), fifth (15g), sixth (35g), seventh (12g) and eighth (11g) in the lineup...His .320 batting average was the highest in franchise history for a player whose primary position was catcher (minimum 300ab)...The team had a 4.27 ERA when he caught (717.1ip, 340er) and went 41-39 when he started...Threw out 16 of 86 runners attempting to steal (18.6%)...Was on the 15-day disabled list from 5/28-7/25 with a fractured right hand.....missed 50 games.....batted .299 (53-177, 7hr, 28rbi) after his return...From 7/19-7/25 played in 6 rehab games at Class-A Wisconsin (4g) and Triple-A Nashville (2g)...Batted .389 (37-for-95) with runners in scoring position, including a Major League-best .514 (18-for-35) prior to his injury...Produced 7-RBI games on 5/20 vs. Minnesota and 8/30 at Chicago-NL, which tied the franchise record for a game, now done seven times...Is the only catcher in Major League history with two 7-RBI games in a season...Belted grand slams in both of his 7-RBI efforts.....were the first grand slams of his career...Became only the fifth catcher in Major League history with two 7-RBI games in a career, joining Bill Dickey, Smoky Burgess, Johnny Bench and Ramon Hernandez...Was named Brewers Player of the Month for May (.388, 3hr, 22rbi)...From 9/11-9/24 recorded a career-high 10-game hitting streak, batting .341 (14-for-41) with 1 HR and 6 RBI...Was selected to the United States provisional roster for the 2013 World Baseball Classic. Entered the 2009 season as the 10th-best prospect in the Brewers organization according to Baseball America...Was a Southern League All-Star in 2009.....led Huntsville in RBI (66), doubles (32) and walks (78)...Following the 2009 season played for the Peoria Javelinas of the Arizona Fall League (17g, .310, 2hr, 10rbi)...Enters the 2010 season as the fifth-best prospect in the Brewers organization according to Baseball America. Was a South Atlantic League All-Star in 2008. Was recognized as a Rookie All-Star and rated as the sixth-best prospect in the Pioneer League by Baseball America...Following the 2007 season played for the North Shore Honu of the Hawaiian Winter League (23g, .299, 8rbi). December 29, 2018 Los Angeles Angels signed free agent C Jonathan Lucroy. October 29, 2018 C Jonathan Lucroy elected free agency. 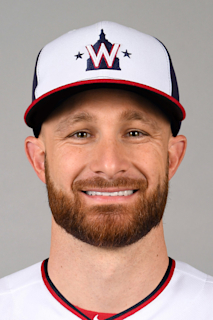 March 12, 2018 Oakland Athletics signed free agent C Jonathan Lucroy. November 2, 2017 C Jonathan Lucroy elected free agency. August 1, 2017 Colorado Rockies activated C Jonathan Lucroy. July 30, 2017 Texas Rangers traded C Jonathan Lucroy to Colorado Rockies for Player To Be Named Later. June 1, 2015 Milwaukee Brewers activated C Jonathan Lucroy from the 15-day disabled list. May 28, 2015 Milwaukee Brewers sent C Jonathan Lucroy on a rehab assignment to Brevard County Manatees. July 26, 2012 Milwaukee Brewers activated C Jonathan Lucroy from the 15-day disabled list. July 24, 2012 Wisconsin Timber Rattlers sent C Jonathan Lucroy on a rehab assignment to Nashville Sounds. July 19, 2012 Jonathan Lucroy assigned to Wisconsin Timber Rattlers. May 29, 2012 Jonathan Lucroy roster status changed by Milwaukee Brewers. April 11, 2011 Milwaukee Brewers activated C Jonathan Lucroy from the 15-day disabled list. April 6, 2011 sent C Jonathan Lucroy on a rehab assignment to Huntsville Stars. March 30, 2011 Milwaukee Brewers placed C Jonathan Lucroy on the 15-day disabled list retroactive to March 22, 2011. Fractured right pinkie finger. May 21, 2010 Milwaukee Brewers selected the contract of C Jonathan Lucroy from Nashville Sounds. April 20, 2010 Jonathan Lucroy assigned to Nashville Sounds from Huntsville Stars. January 16, 2010 Milwaukee Brewers invited non-roster C Jonathan Lucroy to spring training. December 1, 2009 Peoria Javelinas placed C Jonathan Lucroy on the reserve list. April 8, 2009 Huntsville Stars signed Jonathan Lucroy.